Case studies and best practices we come across and write about. We think these articles capture some of the more interesting trends in our industry. Top online news publishers work hard. They must be the first to report stories, or their competitors will get enough impressions to leave them behind. And there are a lot of stories to uncover and share. They must provide an interesting angle, some great interpretation – and that’s not even enough. Who Are The Top Sports Publishers of 2016? Mobile devices are deeply personal and increasingly capable devices. They are always with us, in reach and deeply attuned to our changing contexts. As they have become more capable, we have increasingly resorted to them for information, research, online shopping and when we just want to relax and have some fun. Startling mobile ad blocking trends have emerged from PageFair’s 2016 ad blocker report titled “Adblocking Goes Mobile” and PageFair’s findings paint a troubling picture of the emerging mobile, ad blocker landscape. 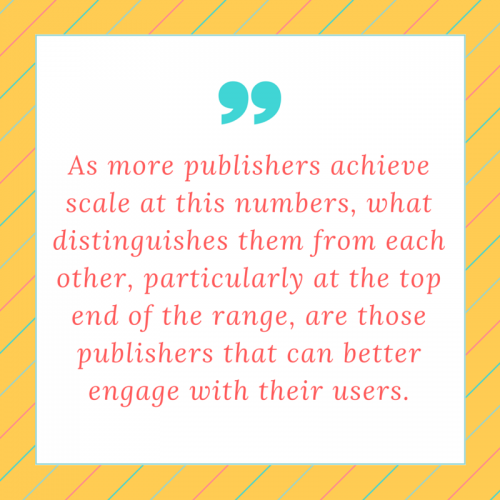 At the same time, the data point to possible solutions for publishers as they seek more sustainable revenue models. How could Premium publishers with only, say, 400 employees outperform a more established publisher that has 4000? The answer is: by focusing on user engagement and nailing it. 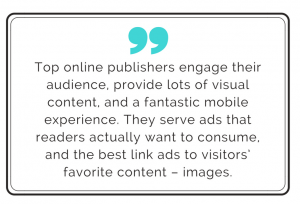 User experience lessons from the Ad Blocker War are shaping both how publishers monetize their sites and the conversations they have with their readers about this. Successful strategies to address ad blocking are emerging and are typically varied. One of the key lessons is that focusing on the user experience challenges that drive ad blocking in the first place, is an effective strategy for improving ad revenues. I’ll explain how in this article, using a case study of a major US tech publication to illustrate the point.